A fun activity that will get students excited about writing! Students will have the chance to pick which job they think they are best suited for and explain why. 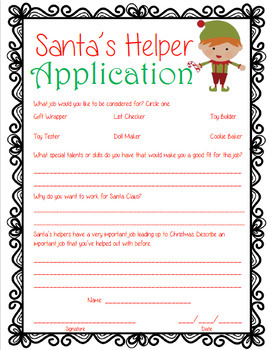 They will also have questions that ask why they want to work for Santa Claus and an important job they have helped with before.